BEDFORD, SPENCER ARGYLE, agriculturist, land agent, politician, office holder, seedsman, and professor; b. 30 Jan. 1851 in Buxted, England, son of Jacob Bedford, a farmer and miller, and Elizabeth Burfoot; m. in 1880 or 1881 Mary Ann (Minnie) Bolton (d. 1919) of Newboro, Ont., and they had one son and three daughters; d. 14 Dec. 1933 at his residence in Winnipeg. In 1863 Spencer Argyle Bedford and his seven siblings set sail from Liverpool, England, with their parents. After a five-week voyage they landed at Quebec City and continued their journey to Upper Canada, where they settled in Blenheim Township, Oxford County. Spencer, who had begun his education at Hadlow Academy in Kent, England, completed it in Upper Canada. In 1877 Bedford obtained a homestead of 160 acres in Manitoba near Calf Mountain (Darlingford). According to the Winnipeg Free Press, at his own expense he scoured the province, “examining soils and studying the native grasses and flowers with a view to what the land might be expected to produce.” He experimented on his farm and helped others to determine the best varieties of wheat and the most favourable planting times for local conditions. In 1886 the federal government established the Dominion Experimental Farms system and appointed William Saunders* its director. At Saunders’s behest, Bedford went to Ottawa in April 1887 to help set up the central farm. Saunders soon gave his unqualified support to Bedford’s candidature as superintendent of the experimental farm that was to be situated somewhere in Manitoba. The minister of agriculture, John Carling*, backdated the nomination to 18 April. The Manitoba experimental farm received many thousands of visitors annually and “materially” assisted immigration to Manitoba and the northwest. Bedford carefully recorded the results of his numerous experiments and made them available through the Farmer’s Advocate and Home Magazine (London, Ont., and Winnipeg) and the Nor’-West Farmer (Winnipeg). He contributed articles on a wide range of subjects. The prevailing view of farming in western Canada held that districts were fit either for wheat or for cattle, but Bedford and others such as James Duncan McGregor, a leading cattle breeder, urged farmers to diversify by combining cash crops with the raising of livestock. Bedford served on the executive of various organizations directly associated with farming. To encourage the exchange of ideas, he had helped to found and was president of the Moosomin Agricultural Society in 1886. He was a first vice-president (1889) of the Brandon Agricultural Society, first president (1891) of the Brandon Farmers’ Institute, director (1892–93) of the Manitoba Dairy Association, and vice-president (1892–95) and honorary president (1895–99) of the Manitoba Central Farmers’ Institute, as well as its representative on the Western Grain Standards Board. In addition, he served as chairman in 1897 of the founding meeting of the Brandon Horticultural Society and as a member of its board, as vice-president (1901–2) of the Western Horticultural Society, president (1897) and director (1902–6) of the Western Agricultural and Arts Association of Manitoba, first president (1903) of the Manitoba Bee Keepers’ Association, and director of the Brandon Fair Board from 1903. He was a national director of the Canadian Seed Growers’ Association from 1904 to 1905 and again from 1910 to 1914 as a representative of the Manitoba Agricultural College. After 18 years as superintendent of the experimental farm, Bedford resigned late in 1905 and joined Albert Edward McKenzie in his well-known seed business. The immediate task was to reorganize the firm, which they and other partners incorporated on 29 March 1906 as A. E. McKenzie Company Limited. 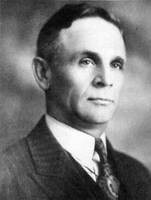 Bedford became general manager, with responsibility for seed selection, seeding, and propagation of crops. He left to become professor of field husbandry at the Manitoba Agricultural College on 1 Oct. 1908. He remained at the college for nearly four years; according to the M. A. C. Gazette, he “put the stamp of practicableness on all his lectures” and devoted himself to the support of its extension program. On 4 July 1912 he was persuaded to become provincial deputy minister of agriculture and immigration, a position he held for three years. During his term he continued to represent the farmers of Manitoba as vigorously as ever. He apprised them of the “most approved and profitable methods” through demonstration farms, travelling dairy schools, and special trains equipped for lectures and instruction; he strongly advocated that they diversify; and he stressed the importance of “systematic” rotation of crops. 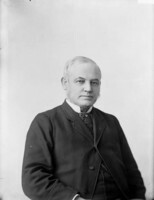 In addition, he spoke ably for the Manitoba government at the conference of mayors held in Ottawa on 26–28 May 1915 to discuss unemployment and labour conditions. In 1916 the provincial minister of agriculture and immigration, Valentine Winkler*, appointed him chairman of the noxious-weeds commission. Bedford continued as weeds administrator after the commission was abolished in 1921; it was reappointed two years later with Bedford as one of its officers. From 1925 until his retirement in 1927 he served it as a consultant. On 20 May 1921 the University of Manitoba had conferred on Bedford an honorary lld. The following year his picture was hung in the agricultural college’s hall and his name inscribed on the university’s roll of fame. On 13 Jan. 1931 Premier John Bracken* presented Bedford, a close friend whom he referred to as “the grand old man of prairie horticulture,” with an honorary life membership in the Manitoba Horticultural Association. Bedford died on 14 Dec. 1933 following a lengthy illness. On 26 July 1978 he was among the first 15 inductees into the Manitoba Agricultural Hall of Fame. Spencer Argyle Bedford was an enthusiastic teacher and an ardent researcher who gave freely of his counsel and encouraged all who sought his assistance. Opinion among Manitoba farmers was unanimous: he had rendered the agricultural interests of the province an inestimable service. In 1896 James Wilson Robertson*, dominion commissioner of agriculture and dairying, had called him the “uncrowned king of agriculture in Manitoba.” Bedford was indeed the leader of agricultural progress in the province. Spencer Argyle Bedford is the author of Contra facts for the electors of Moosomin district: Mr. C. B. Slater’s crowning falsehoods, mendacious statements and election bunkum! : Mr. Slater’s single-handed game of bluff (Moosomin, [Sask., 1885]). AM, CCA (Company Office corporation docs. ), 0059/0260, GR6427, file 47A A. E. McKenzie Co. Ltd, Q-02-45-86; EC 0016 (Premier’s Office files), GR1665, 77–79; NR 0215 (Dept. of Natural Resources, Homestead files), GR2060, SW 34-2-7 w. Brandon Univ., S. J. McKee Arch. (Man. ), RG 3, McS 2, 2.2, 2.2.2, file 1, tape 7. GRO, Reg. of births, Uckfield, 19 Feb. 1851. LAC, R194-40-3, files 60344, 63739; R233-34-0, Oxford North, Ont., dist.14, subdist.G: 50. Univ. of Man. Libraries, Dept. of Arch. and Special Coll. (Winnipeg), UA 15, box 30, 7 Oct. 1908. Brandon Sun, 10 July 1890. Moosomin Courier, 20 Nov. 1884; 19 Feb., 5 March, 16, 23 April, 7, 28 May, 6 Aug., 10, 17 Dec. 1885; 8 April, 10, 24 June, 15 July, 30 Sept. 1886. Nor’-West Farmer (Winnipeg), 20 Feb. 1906. Winnipeg Evening Tribune, 14 Jan. 1931. Winnipeg Free Press, 15 Dec. 1933. Can., Parl., Sessional papers, 1889–1906 (reports of the experimental farms, 1888–1905). Canadian men and women of the time (Morgan; 1898 and 1912). Directory, Man. and N.W.T., 1886–88. Directory, Winnipeg, 1882–83. M. A. C. Gazette (Winnipeg), November 1912. Man. Central Farmers’ Instit., Annual report (Winnipeg), 1893: 63–65; 1895: 58; 1896: 108. Manitoba Agricultural Hall of Fame Inc. (Brandon, [1995?]). Univ. of Man., Convocation program, 1920–21; Faculty of Agriculture, 75th anniversary 1906–1981: and growing for tomorrow ([Winnipeg, 1981]). Peter Hanlon, “BEDFORD, SPENCER ARGYLE,” in Dictionary of Canadian Biography, vol. 16, University of Toronto/Université Laval, 2003–, accessed April 22, 2019, http://www.biographi.ca/en/bio/bedford_spencer_argyle_16E.html.